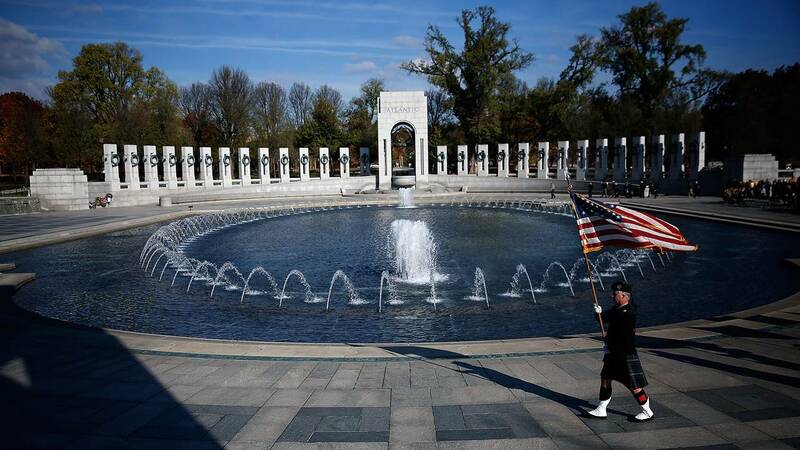 An honor guard participates in a Veterans Day ceremony at the World War II Memorial on Nov. 11, 2016. With highs in the upper 70s on Saturday and Sunday and minimal rain chances, it's a great time to get out and enjoy the events the Orlando area has to offer. The parade will head from Lakeside Park along Front Street to Market Street and Celebration Avenue before finishing at Founders Park. This is a 10-day holiday event that transforms the museum into a winter wonderland. People will show off what they are making and share what they are learning related to do-it-yourself science, art, rockets, robots, crafts and more. The parade kicks off with a vintage military aircraft flyover. Nov. 10, 11 a.m. to 2 p.m.
It’s the 19th annual City of Orlando Veterans Day Parade to honor the men and women who have fought for our nation’s freedoms. Nov. 10, 11 a.m. to 4 p.m. This all-day, family-friendly food festival features tastes and beverage sampling benefiting The Mustard Seed of Central Florida. Nov. 10, noon to 11 p.m.
Nov. 11, noon to 8 p.m.
Apopka’s fall festival features carnival rides, a beer garden, live music and more. Will UCF hold on to the nation’s longest winning streak? Be there to see history. The festival features electronic dance music, carnival rides, immersive art and more. Nov. 10, 2 to 5 p.m. Try samples of 200 craft beers by local and regional breweries, along with music, games, college football streaming and more. Nov. 10, 5 to 8 p.m.
Get a free photo with Santa when Bass Pro Shop lights its Christmas tree. Screen on the Green featuring "Jumanji"
Nov. 10, 6 to 9 p.m. The weather will be great, so go enjoy a movie outside.